To know how to conduct a feasibility study of a project. To gather knowledge about different project analysis tools- PERT, CPM, GANTT chart etc. To know about the various phases of feasibility study of project. To know how to cultivate the pearl in freshwater. To know the potentiality of pearl cultivation in Bangladesh. To portray the relative scheme & project regarding pearl cultivating farm. To credit the future development. To gather the practical knowledge about pearl cultivation. To be informed about the price of pearls & also the amount of pearl cultivating farm. To be informed about the amount of demand of pearls. Collection of data is a hard job in this stage of project, because there is no such firm in Bangladesh. The price and amount of raw material is not accurately known every time. It is difficult to estimate and do all the financial projections accurately according to the current market. The main objective of the study is to put the theoretical knowledge of the study into practical experience. This project will be as a source of information for further practical applications of the company. A pearl is a hard, roundish object produced within the soft tissue (specifically the mantle) of a living shelled mollusk. Just like the shell of mollusks, a pearl is made up of calcium carbonate in minute crystalline form, which has been deposited in concentric layers. The ideal pearl is perfectly round and smooth, but many other shapes of pearls (baroque pearls) occur. The finest quality natural pearls have been highly valued as gemstones and objects of beauty for many centuries, and because of this, the word pearl became a metaphor for something very rare, very fine, very admirable and very valuable. The Pearl World is a type of business involves in manufacturing, cultivation and exporting pearls as business. Our only product is cultured freshwater pearl and we are launching our business for the first time in this country in a way of commercialization. As we are first time, so our area of business is limited but we are in a way to make it large and wide. Our business plan is to collect, produce, cultivate, design, culture, distribute and promote pearls locally and internationally. Our target markets will be Asian countries along with the subcontinent because the USA and Japan has already covered the later market and our target is to cover the rest of the world. We will develop a zero level marketing so that we can be able to create a good relationship with the customers and able to connect them directly to promote our business throughout the world. We believe in quality product and we are liable to create and maintain quality product and provide them to the customer. We have the plan to create 30% coverage of the total market for the initial time of our business by creating direct communication and information system. Our company is very committed in establishing and maintaining rules and regulations for creating and maintaining smooth and better delivery process without creating any obstacles in it. We are very concern in maintaining our responsibilities properly for the betterment of our business and achieving customers’ belief and trust on us. Since 1953, freshwater pearls called ‘Biwa pearls’ have been cultured commercially in Japan. The Japanese freshwater mussel Hyriopsis schlegelii abound in lake Biwa in Shiga province. It is reported that 47 cultured farms with a water area of 110 ha in lake Biwa, and 16 farms with an area of 13ha in lake Kasumiga-ura are producing 8 to 10 mt of cultured pearls annually (Kalfuku and Ikenone 1983; Ward 1985; Simard 1992). In Europe, the freshwater pearly mussels Margaritifera spp. And Unio spp. are well distributed (Bauer 1986). In U.S.A, Mississippi River is the main source of the raw material for manufacturing the shell bead nuclei used for pearl culture operations. Megalanias spp. was being exported to China and Japan bead (Fasseler 1992). It is reported that about 150 kg of natural pearls are collected annually from the mussels Lamellidens marginalis and Parreysia deccaensis in Bangladesh (Anon 1986). Recently, BFRI are conducting pearl culture research at a limited scale under a core research project from 1999 for 3 years. (BFRI 1999). In the meantime, BFRI conducted a field survey on the present status of pearl culture and its development potential which shows that no commercial pearl culture has yet been developed in Bangladesh (Mazid 2001). But the report says that the pearl available in the market is collected from natural sources indicating about its good prospect. The book on pearl; culture management (Paul 2000) also holds similar idea. In May, 2001, a Chinese pearl culture consultant Ms. Hua Dan under the World Bank Project of Agricultural Research Management Project, joined the BFRI pearl culture research program and initiated the activities of survey on native mussels, training of scientists at BFRI, freshwater pearly mussels operation and operated mussel culture and management. Encouraging results have been obtained after only 2 months of operation that tiny pearl was produced in mantle tissue operated mussels. Nuclei pearls and image pearl were also formed with a cover of thin pearl layer (nacer). Therefore, the preliminary results indicate that the pearl culture is promising in Bangladesh. As we are very new in this industry, that’s why we don’t have such kind of industry background and we are the first company of this country which is formed in a way of commercialization. In our country, pearl business is in a scattered way and business people gather and collect pearls and do business from those scattered sources, but we are the first who are engaged in a systematic business on pearl and working on gathering all those scattered sources in a single term. Islam (1969) gave a brief description on Traditional harvesting of Pearl oyster by a class of people known as “Bodies” who bring up these valuable gems are an itinerant community, having no permanent riparian holdings. They move from place to place with wives and children and camp at night in their flotilla of “dinghies”. Many may not be aware of the fascinating romances in which the history of pearl fishing boats in Bangladesh is wrapped but the emotional folk-lores and ballads of the boatman piercing the still of the night, definitely ring in the ears of those who have occasions on romantic moonlit-nights. Fishing of fresh water mussels, as well as saline water oyster, commence simultaneously from December to mid-June when water level is at the lowest margin. A “Dinghi” is a round bottom shaped shallow craft with a small hold measuring from six feet in length and two to three and a half feet in breadth, and sometimes a little bigger in size with hood made of split bamboos and canes. A group of “badias”, 20-30 in numbers, may buy the rights of fishing for mussels in a stretch of water by paying a small fee to the owner of particular beels or lakes for the entire season. In shallow water, these badias feel the shells with their feet and simply pick them up with their bare hands and collect them in baskets or bags. In deep water, however, diving is resorted to. After remaining under for half to one minute, they simply bob up to have a fresh breath and repeat diving till their bags are fully and empty them into the dingis. They generally work for 4-5 hours a day and collect mussels from one mound to one-and-half mounds. If the water is too cold and if they can afford a luxury, they anoint bodies with mustard oil before resuming work. They also carry their children in the dinghies to help them in emptying the bags and putting their catches by in small holds. With the coming monsoon, they start moving with their flotilla of dinghies aimlessly, until they reach a place suitable for camping. Traditionally, these badias prefer to live in a world of their own, away from male and female, engage themselves in various petty trades and professions such as snake charmer witch doctor, basket maker, folk lore singer etc. Uniqueness of the product or serviceWe are going to establish a first commercialized pearl business in the country by doing pearl culture to export of it without keeping any intermediaries or zero level of marketing to compete with world business. We will provide pearls in 2 ways- as a raw pearl or designed jewelry and for manufacturing to exporting of pearls; we will obviously honor and consider the customer demand and choice in a highest manner. The promoters of Pearl world Ltd. are the new generations. Though they had not a vast knowledge about constructing a business but since they had made the plan of freshwater pearl cultivation and they are truly interested to do such kind of business. From that time they started their field work to implement their dream project. Since then they are involved in the agriculture sub-sector of economy of this country. The promoters started their business in 2008. Actually the promoters constructed their plan in 2008 and their operation begins in 2009. From the very beginning the promoters involved themselves into the operation in the limited units. Though they are new to the large scale of this business but some of them are experienced in small scale. Gradually the firm is expanding its operation in new product lines. The promoters have purchased about 2 Acres of land for the production purpose of this business. It is expected by the promoters that the project will play a vital role to meet the scarcity of pearls in the economical sector of the country like Bangladesh. However, the project is operated in small scale but all these units are performing satisfactorily. The prime promoter of Pearl World is Kazi Tahseen Asad along with Sabrina Nowshin, Zeehan Masud , Fariha Mahmud, Sadia Sultana and S.M. Asraful Hasan. Kazi Tahseen Asad, age 26, an MBA (Finance) is the prime partner of Pearl World. She is the Chief Executive Officer and Managing Director of the firm. She has long experience in Agriculture and its sub-sector in the country area. She is very young energetic and dynamic person. She was an active partner of all the small units of the family business for the last 3 years. Sabrina Nowshin, age 25, BBA (Finance) and ACCA, is also an active partner of the Pearl World. She is the Accounts and finance Director of the firm. However, she does not have much experience in this sector but her academic qualification relating to accounting knowledge will help the firm to achieve the efficiency and effectiveness in the operation. She will look after the day-to-day accounting operation of firm. Zeehan Masud, age 25 MBA (Marketing) is also an active partner of Pearl World. She is the Marketing Director of the firm. She got the experience to do market of agricultural & fisheries goods in local market and as well as foreign market. Last 3 years he was involves with a fisheries farm. Fariha Mahmud, age 25, M. Sc (Biology) is one of the most active partners of Pearl World. She is the operation director of the firm. He has technical expertise and related experience to run the pearl culture project. Sadia Sultana, age 29, BBA (Marketing) is a partner of Pearl World. She is also the sales director of the firm. He has more experience in fisheries projects. He is very much able to run any types of related project and efficient to make effective decision. S.M. Asraful Hasan, age 30, MBA (Human Resource Management) is a partner of Pearl World. He is the Human resource and Administrative Director of the firm. He has experience as Human resource manager of fisheries for the last 2 years. Pearl World Ltd. is a 100% cultivating firm. It was a dream of the promoters to open a firm like this. They decided to share the capital among them. They contributed capital of the firm. The promoters also decided to take loan from bank. So the current capital structure of the firm consists of debt and equity capital. The debt capital covers 40% of the total capital and equity capital covers 60% of the total capital of the firm. For the production of the firm’s product, the promoter required 3 acres of lands. They purchased the land in Mymensingh. The cost of the land is 5 million. The share of the company will not be distributed to outsider according to the deal among the promoters. Pearl world Ltd. is owned & managed by the partners of the firm. Here the Partnership Act 1932 is followed that is all the partners have got the same or equal liabilities. The partnership of the firm is based on a written contract which is duly sign by all partners of the firm. So by law the firm is operated & managed by the articles of partnership. Dhalka nagar lane, Gandaria, Dhaka. Today 6th March, 2009, An Article of Partnership is created and signed by these partners with a view to establish a partnership firm named “Pearl World Ltd.”. All concerned parties of the article are mature and capable to perform the restrictions of the article. All of them are Bangladeshi by born. Address: 51/3, Bhaluka, Mymensingh, Bangladesh. 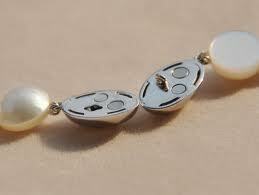 Type of business: The firm is involved with production, and marketing of loose pearls and pearl jewellary. Area of operation: The firm will operate its activities within the boundary of Bangladesh. It can establish its branch office anywhere in the country. Capital: At the starting point the firm will have a capital of Tk. 40 million. In case of necessity additional capital can be collected from the partners. Drawing: Every partner can draw maximum Tk 30000 from the business every month and subsequent interest he has to pay the rate for which is 20%. Distribution of Profit: According to the ratio of capital the profit will be distributed or loss will be covered equally among all partners. Financial Statement: That proper Books of Accounts of the business shall be maintained and kept at the office and the partners shall have free access to the Books of Accounts. That an Annual balance sheet for profit and loss shall be prepared which shall be shared by the parties proportionately. Accounting Period: The firm will maintain its accounts in a fiscal year consisting of January 1st to December 31st. Banks: Account of the firm shall be opened in the name of the firm with any schedule bank or banks of Bangladesh. Which shall be operated under the joint signature of any two partners of the firm respectively? In banking transaction the signature of managing partner is mandatory. Admission of Partnership: For the overall welfare of the firm new partners can be admitted in the firm but no new partners can be added without the full written consent of the partners. Death of Partners: Any partner can take retirement from the firm by providing a three months prior notice. In case of death of any partner his nominee or successor can become a partner on the consent of other partners. Repayment Of capital: In the event of the death or retirement of a partner, the remaining partner will pay the state or retiring partner the full amount of the original investment. The payment will be made within 1year of the death or retirement of the partner. Grievance Procedure: If grievances between partners cannot be resolved, an arbitrator will be hired that is acceptable to all partners. The decision reached after arbitration is binding. Termination: In case of necessity or according to the occurring situation if the termination of the firm has to done, the termination procedure will be followed by the Partnership Act 1932 prevailing in Bangladesh. Change of Condition: With the consent of all parties, rules & terms of the article can be amended. We the aforesaid parties agreed with the terms and conditions above and signed consciously with mental soundness mentioned above dated. Pearl World has got a very sound list of qualified and skilled workforce having wide range of experience in the related position. Under the head of organization structure firm’s organogram is demonstrate and brief explanation is also given for better understanding of the authority and responsibility. Kazi Tahseen Asad is the prime partner of the company Pearl World Ltd. She is Chief Executive Officer and Managing Director of the company. She will be the project in charge and responsible for overall management of the project. She has idea about the Pearl products. He is an active partner of small units of family business for about 3 years. Sabrina Nowshin is also an active partner of the company. She is the Director Finance & Accounts of the company. She is not quite familiar in this sector but her academic qualification relating to finance and also in accounting can help the company to achieve the efficiency and effectiveness in the operation. She will look after the day-to-day transactions of the company. Fariha Mahmud is also an active partner of the company. She can help in this concern by his skill in the production and development sectors. Her things he can give better idea for the betterment of this kind of business. She also controls, handling, implementing operation of the project as per company policy. Zeehan Masud is also a partner of this firm. She is also new to this type of business. But she much interest to do this kind of business. She is not experienced in this sector but she has experience in doing jobs. So she can help in building relationship with well distinguished people and develop marketing policies, strategies and ensure their effective implementation to achieve business goal. Sadia Sultana is an active partner of Firm. She Plans and organize various promotional events related to marketing. He also will provide the necessary consultancy for the implementation & smooth Marketing of the firm according to his experience. Contact with sales field force regarding collection/party arrear balance and recommend appropriate action on the basis of field findings to reduce outstanding dues. S.M. Asraful Hasan is an active partner of firm. He prepares and implements of policy, orientation guide, employee handbook, joining kit, HR forms and formats and handle and manage full spectrum of day to day HR function: compensation & benefits, recruitment, performance appraisal, training and development, payroll and Employee`s Relations. Executives of the firm are chosen according to the necessary practical experience and ability to work with a new project. They have got the responsibility to handle the operation of the firm based on the instructions provided by the managers of their respective department. S.M. Asraful Hasan is a partner of Pearl World Ltd. He is also the administrative consultant of the firm. He has got more experience in fisheries, shrimp and Pearl cultivating projects. He is very much able to run any types of related project and efficient to make effective decision. Undertake responsibilities for the project implementation and all relevant administrative activities. Prepare/collect detailed work schedule and timesheets for the project. Time to time interaction with us to discuss the relevant issues and to up-date on project implementation. Ensure the quality of the overall project activities. The partners of the firm are solvent and they have got property and liquid cash. After that they need some financial support from financial institutions. The management of the firm has selected two banks for submitting the proposal of business and the feasibility study for their kind perusal. Sonali Bank Limited, Head office, Motijil, Dhaka. Firm will maintain a well designed auditing system. Under this system the auditing activities are divided into two parts, i.e Internal & External. Internal Auditing activities will be performed by the Manager and executives of Finance & Accounts department. They will prepare monthly statement and other supplementary statement as required and make necessary corrections. External Auditing activities will be handled by a renowned auditing firm name as Haider and Co. (Charter Accounted). For establishing this project in full capacity we need total 17 employees with Outstanding organizational, interpersonal and communication skills, hard working, independent self-starter, good at problem solving, and love the challenge of achieving ambitious goals. Staffs that are works in the production process unit, they need training for the pearl cultivation and the Mussels operation. They can get training from the Freshwater Aquaculture Research Station (FARS), Mymensingh. Our pearl culture project “Pearl World Ltd.” includes various divisional costs including Land and site development, Building and Civil works, Plant and Machinery purchase, purchase of miscellaneous fixed assets, preliminary expanses, preoperative expanse etc. In conducting the Pearl culture and exporting, we maintained various site development works and other civil work. We also collected various fixed assets for the project. We need total 3 acres of land for the project of which the production area needs 2 acres for ponds worth taka 50, 00,000. The rest land used for internal roads, gate, tube well, and plantation. In conducting the building and civil works we mainly consider the operation unit and workers accommodation building in the site. In conducting the business we should spend some amount of money to buy some miscellaneous fixed assets not directly associate in production, such as furniture, catching tools, plastic nets etc. The furniture is depreciated in a straight line method. We have some preoperative expanses also. Such as trade license fee, insurance charges, export license and miscellaneous expanses. In our project we use two types of sources of finance. Long term loans from bank. For our project we need total Taka 100, 00,000. Partners of the firm will invest Taka 60, 00,000, and rest of the amount is taken as long term loan from renowned bank, Sonali Bank Limited, Head Office, Motijil, Dhaka. We will take long term loan from bank to meet another 4 million taka. The term loan is taken form bank for 5 years and annually equal repayment. In culturing the pearl along with fish first we need the oyster and young fish, their feeding cost. At the beginning of the business we are going to culture 5000 oyster and 28000 per year. In year 2010 and 2011 its satisfactory profit but from year 2012 the profit is increasing per year because from that year the pearls will be sold. The higher a firm’s total asset turnover, the more efficiently its asset has been used. Year 2012 shows the highest asset turnover. This measure is probably of greatest interest to management because it indicates whether the firm’s operations have been financially efficient. The higher this ratio, the greater the firm’s degree of indebtness and the more financial leverage it has. From the year 2010, the ratio is decreasing per year and the last year it shows zero ratios which means there is no debt all has been repaid. This ratio measures the firm’s ability to make contractual interest payments. The higher its value, the better able the firm is to fulfill its interest obligations. The graph shows that each year our ability to pay the interest is increasing. The gross profit margin measures the percentage of cash sales dollar remaining after the firm has paid for its good. The Graph shows that per year the percentage is increasing which better for our company. The operating profit margin measures the percentage of each sales dollar remaining after all costs and expenses other than interest, taxes are deducted. It shows increasing margin each year which is preferred for our company. The net profit margin measures the percentage of each sales dollar remaining after all costs and expenses including interest, taxes are deducted. It shows increasing margin each year which is better for our company. The return on assets measures the overall effectiveness of management in generating profits with its available resources. Its value indicates that the firm earned percentage on dollar of asset investment. The year 2012 shows highest return on assets. The return on equity measures the return earned on the owner’s equity investment in the firm. The higher this return is better. The year 2013 shows highest return on equity. Suppose the best case will consider the increasing rate of 25% in sales and decreasing rate in cost and expenses according to 25% and the worst case is the vice-versa. As pearl comes from the oyster so the mortality rate might cause risk. As oysters are catching from natural sources, it involves the risk of unavailability of oyster. Oyster food also depends on the natural sources and has the risk of unavailability. It has also the risk of unknown disease of oyster; it may be hampered the process. It has the risk of timing of catching. Potential competitors might cause risk in sales. We will not use any machinery that will harm the environment. Mussels help maintain our water clear by eating up floating organic compounds. Pearl culture and associate jobs can provide livelihood for many people of this country. Shells are very good feed for poultry also. We also intend to reserve a fund to help the victims of natural calamities. We will take a plantation project. We will establish research and training institute in our farm locality where people will get training and become self employed for removing the poverty. We will definitely concern about the society and environment. The Pearl World will determine and fulfill the fundamental purposes of their firm. Our firm will concentrate on corporate social responsibilities. Consider moral rights and duties. Ethical issues concerning relations between different companies. Political contribution made by firm. Avoid misuse of corporate ethics policies. Executive compensation will be provided. Monetary fraudulent will be avoided. Misleading financial analysis will be prohibited. No discrimination will be allowed. Issues arising traditional view of employee and employer relationships will be considered. Employee privacy will be maintained. Anti competitive analysis will be considered. Price discrimination will be avoided. Loyalty manipulation will be avoided. Content of advertisement will be legal. Black market will be avoided. New technology will be ethical. Ethics of product testing will be evaluated. Misuse of intellectual property will be maintained. Patent, copyright and trademark infringement will be avoided. The visceral meat along with the crushed oyster shell can be effectively used as poultry feed. Besides used in the fertilizer industry, the shell can be marketed as a curio or ornamental item. Crushed shells have been found to possess excellent cementing properties and can be used for reinforcement along with concrete. Grits prepared from shells are being used as nuclei for pearl production. The large gem quality of pearls has exquisite luster and beauty, and is readily available for jewellary purpose. The tiny immature pearls are often ground to a powder and mixed with cream. This is taken early in the morning to prevent heart trouble, to strengthen the bones and the teeth and for improved eye-sight, the protection against small pox. Pearl oyster farming is picking up worldwide. It is an important foreign exchange earner for developing countries, with promising markets in Europe and North America, where there is a great demand for cultured pearls which are cheaper than the wild pearls. Bangladesh is traditionally a land of rivers, canals, lakes, coastal and marine saline water. It is grafted with resources of pearl production which is unknown to many of our own countryman. The climate, chemical composition of soil, physical features of water and temperature are favorable to the growth of pearl producing mussels as well as pearl production. Bangladesh can earn tk.1500 crores annually by exporting pearls as well as possibilities of 20-30 lakhs employment generation in the country. Create foreign investment opportunities in this sector. Increase the standard of living. The first requisite for the all-round development of oyster pearl industry and mussel culture especially for export purpose is to educate and training of those who are and may be willing to enter into the business. Specially most of the shell collector are illiterate and live from hand to mouth, although they are the first finder to let these gems see the light of the world. If the awareness training of the scientific method of cultivation and conservation of Pearl bearing oyster and mussel is made known to them, then the conservation of muscle oyster beds will not disturb. They will stop indiscriminate picking of mussels. In natural condition out of 500 mussels they got only single tiny pearl. So we can imagine what a huge amount of pearl oyster destroy everyday by indiscriminate picking of mussel. Lack of technology for culture technique for artificial propagation of pearl bearing mussel and oyster. Training on project implementation and facilitates and culture technique of pearl is lacking. Knowledge on pearl culture management technique. There is no ‘Lagoon’ in costal area in our country. For marine pearl bearing species of oyster and mussel culture technique is more suitable in this ‘Lagoon’ area. For pearl cultivation by artificial propagation technique, it takes 3-5 years time, so the fish firmer discourage pearl culture activities in his fish farm. Lack of publicity in different communication med a like TV, Radio etc. Pearl Research Centre under Bangladesh Fisheries Research Institute not yet been established. Pearl Research Centre under Bangladesh Fisheries Research Institute should be established in Moulvi Bazar or Sunamganj District. It is suggested that three potential and deep haors namely Tingua, Matin and Hail in Sunamganj and Moulvi Bazar be taken for the purpose, as these are reputed for producing gem quality pearl of value. Moreover, these haors are honeycombed with fine inlet where warm streams from the Meghna sweep in, maintain a temperature favorable to the healthy growth of pearl mussel. Another good location for establishment of research center may be at Austogram of Kishorganj district. It is understood that pearl cultivation need 3-5 years time and yet there is no matured technology for artificial propagation of pearl bearing mussel and oyster in Bangladesh. It is suggested that three member’s term of Scientists and Planner will visit pearl producing country e.s. India, Chaina, Japan. After experience gathered from these countries, they will submit a report on how we can develop the pearl industry in our country. On the basis of the report 2 middle level scientists will send for training on suitable pearl producing country in abroad. In the mean time Bangladesh Fisheries Research Institute will implement a short term research project on fresh and Marine Pearl oyster culture project. Long term project will be implemented in the proposed pearl oyster bed area after developing artificial propagation of pearl culture technique. Monitoring of the programmed will be under supervision of ministry of Fisheries & Livestock and Bangladesh Agricultural Research Council. Awareness to the common people on artificial pearl culture technique – a pamphlets in Bengali, elating to the scientific methods of collection and preservation of pearls, should be published by FRI, Department of Fisheries and BARC. This pamphlets should be distributed free of cost to the fish farmers as well as those interested in the business of pearls. Pearl research centre should be well equipped with the most up to data laboratory which should include all necessary equipments facilitates. Pearl Research Centre should be under supervision of one middle level scientist with supporting technician and staffs. The scientist should be responsible for looking culture aspect, collection, preservation and other organizational work. In training cell an important areas may be opened to impact modern and scientific training in the method of collection and preservation of pearls to the interested person for pearl cultivation. It is known that artificial propagation of pearl culture takes 3-5 years for getting gem quality of pearl. It is suggested that mixed culture with carp and mussel for pearl production will get more benefited by earning money. Firstly a survey should be undertaken by Department of Fisheries to identify natural habitat of pearl bearing oyster and mussel and its breeding ground. Bangladesh Fisheries Research Institute will conduct a basic research on identification of fresh, Marine and Brackish water pearl oyster and mussel species of Bangladesh. On the basis of the study conducted by Department of Fisheries and Bangladesh Fisheries Research Institute, govt. should imposed laws on the free and indiscriminate picking of pearl producing mussels from pearl beds and these pearl bearing areas be declared as restricted areas and any one violating these laws, should be liable to punishment. It is altering situation that the burnt oil and waster of the diesel engines thrown from motor launches moving day and night in most of the pearl bearing rivers and channels of the locality are simple fatal to young oysters, eggs and free floating spats . It is, therefore, time that appropriate steps are taken for banning indiscriminate throwing of such mussel-killing oil by motor launches. Mussel and pearl bearing oyster should be picking up from their beds only in specific time and mussel should be matured and healthy for nucleus implementation. Applied research on pearl bearing oyster and mussel includes the biology and ecology, culture technology, pollution and diseases, post harvest handling and the economics of its culture should be undertaken. With available island and costal waters becoming scarce for oyster and mussel culture, more information is needed on the growth potential pearl bearing mussel and oyster in different ecosystem as the food plain, beels and open sea. For comparative purpose and to allow more reliable estimates of possible production, the carrying capacity of given ecosystem should be assessed and classified. The relative case with which mussels and oyster can be transplanted has raised questions on the ecological consequences of such actions, especially when used to introduce exotic species to a new area. Besides the potential danger of also importing diseases so far unknown in the area, the remarkable adaptability of exotic species to different environments could easily lead to undesirable changes in the ecological equipment. In the tropical country mussel production still uses the bamboo and stake methods. The large number of mussel and oyster culture experiments involving rafts, however, strongly indicates that mussel and oyster culture in the future will relay on some sort of rope culture system. Research should concentrate on the development of low cost, simple farming methods that are appropriate to the educational and economical background of the target population. Studies are needed on the feasibility of extending mussel and oyster farming into more exposed waters in the open sea or inland flood plain / beel / lakes, with emphasis on the use of partly submerged system. Hatchery technology may not be an economically viable alternative in the near future, so method of obtaining seed from the wild will have to be improved. This includes development of spat fall forecasting technique through plankton sampling or monitoring of the gonad condition of mussels and oysters. Another means of increasing seed supply for farming is by transfer of spat over long distance. This technique, however, still needs improvement at least in those areas where deficiencies in the road network and other structural constraints often cause long delays in transportation. Studies could be undertaken to determine optimum conditions during transport to maximize overall morality. More studies required for industrial pollution and the occurrence of din flagellates can be set up. This research should also help to assess the reliability of mussel species as a bio-indicator organism for heavy metal pollution. So far few works have been done on the development of cost-effective depuration techniques for mussels and oysters. Chlorination, ozonation and ultra violate light treatment are viable alternative, but more information is needed on the long term effects of such system. The development of intensive processing industry is a necessary prerequisite for the large scale production of mussels and oysters. Consumer’s preferences for different product forms have to be investigated and simple techniques should be development for processing at ehe village firm level without compromising sanitation standards. There is strong need for detailed economic studies on the various farming systems in areas of existing or potential culture. Alternative production techniques should be assessed in terms if capital requirement, labors demand and engineering design and in compression with other possible forms of resource use. Through the labor intensive technique probably have better change of being economically viable in most tropical countries, the feasibility of capital intensive, export oriented mussel and oyster culture as well as pearl export should not be disregarded. Studies should be conduct to determine what level of mussel production can be absorbed by local markets especially in South East Asia and also tribal people of Bangladesh. Projection should also be made on the potential growth in both local and export markets for mussel and oyster production, so that planning design and mussel and oyster production can be synchronized with the development of market for the resulting products. In the right of socio-economic constraints that tend to obstruct the large-scale implementation of pearl bearing mussel and oyster culture, government must seek ways to improve the institutional framework under which mussel and oyster culture is to be developed specially for export purpose. There is an immediate need of perspective planning and formulation of development priorities in inland, marine and brackish water pearl and mussel culture management. This should take into consideration all potential form of utilization of water resources. Forming of pearl bearing mussel and oyster require a reliable system leasing public water areas to individuals with protection against encroachment. Government should initiate programs that attract interest and investment of individuals and the industry. Authorities concerned have to initiate well-organized nutrition programs to increase consumer awareness and teach correct handling of the mussels and oysters. Regulations have to be set up enforced that ensure a continuous high quality standard of the mussel and oyster products. This will in the long term benefit both the consumer and the mussel farmer.